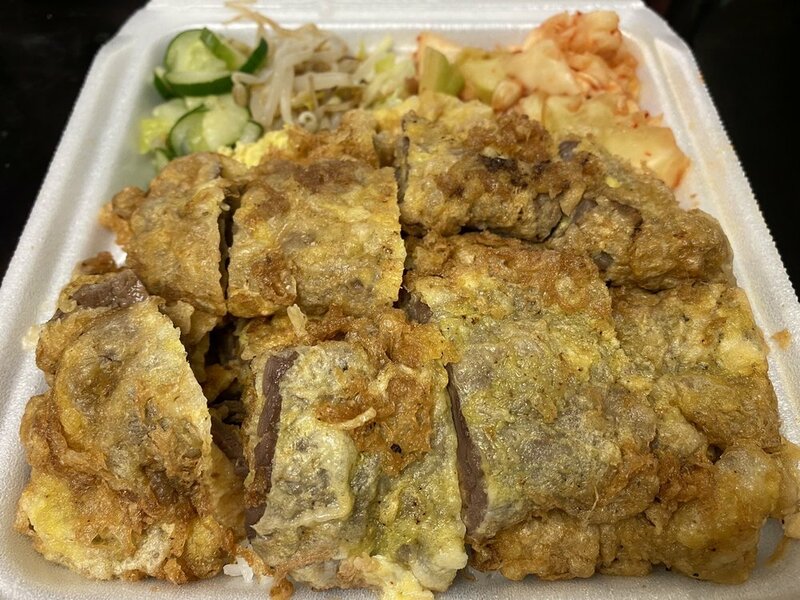 Everyone's favorite Korean eatery offering plate lunches, soups & barbecued meats. Comes on a big bed of White Rice with 2 sides. Comes With Bed of Rice and Two Sides. 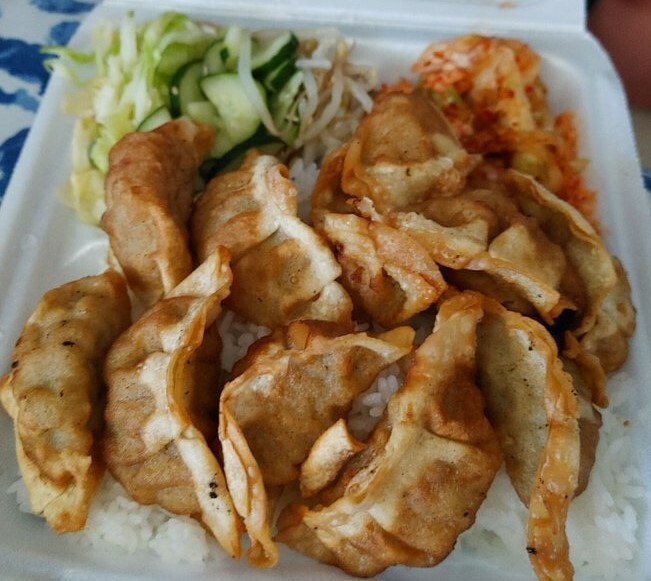 Korean style potstickers. Comes With Bed of Rice and Two Sides. Delicately seasoned big-bone short ribs. Comes With Bed of Rice and Two Sides. Pre-mixed Rice with meat, vegetables and special sauce. This item can be made spicy upon your request! Premixed noodles with meat, vegetables and special sauce. 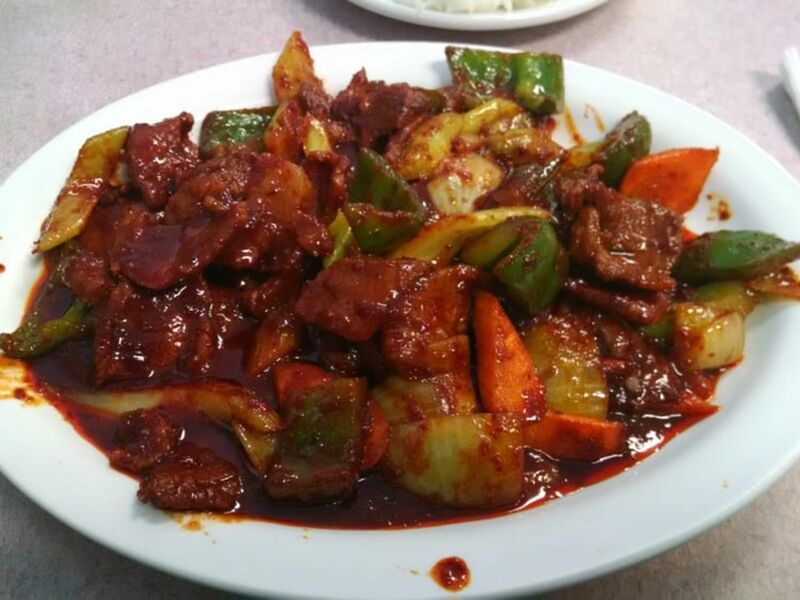 This item can be made spicy upon your request! Kalbi, BBQ Meat, BBQ Chicken, Meat Chun, Shrimp Tempura, Fish Chun and Fried Mandu. 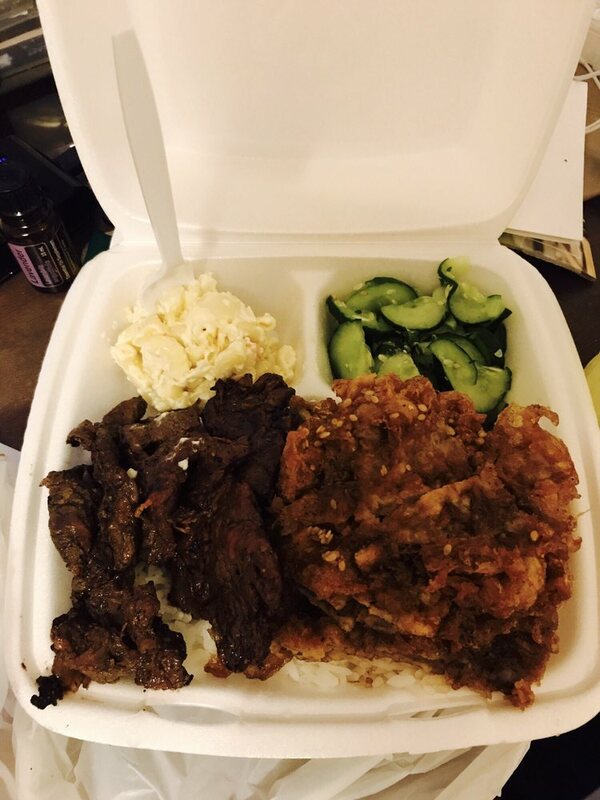 Comes With Bed of Rice and Two Sides. Your choice of Mild or Spicy! 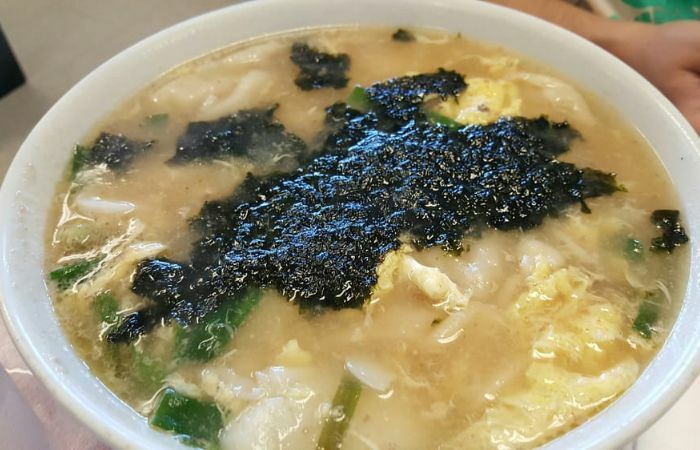 Kimchee Soup with Tofu, Meat and Vegetables. 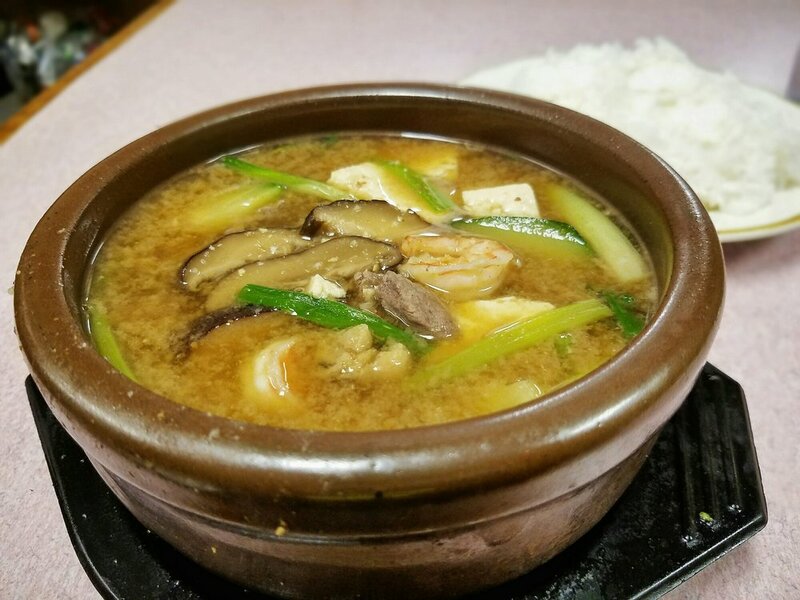 Korean Miso Soup.Your choice of Mild or Spicy! 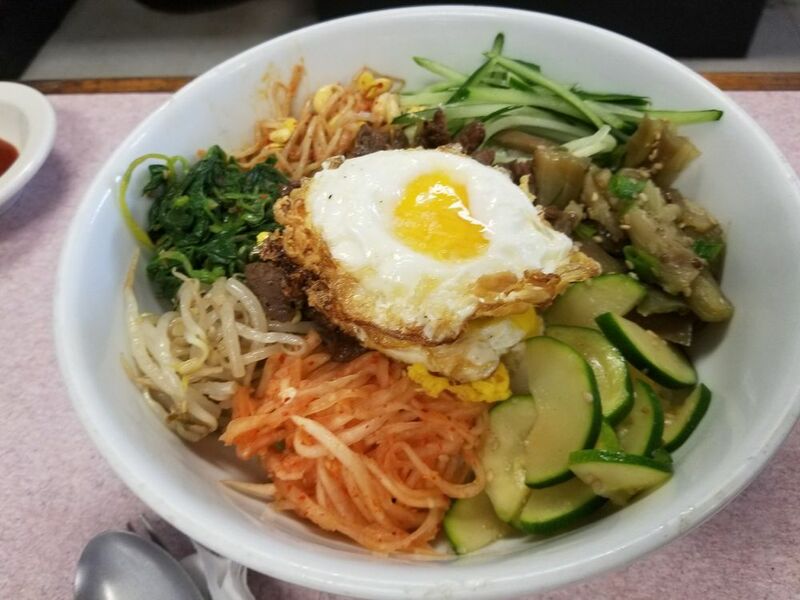 House specialty, made fresh daily!